KFC, our largest corporate partner and an iconic global restaurant brand, partners with WFP through its award-winning Add Hope initiative, the largest international consumer outreach effort focused on hunger. Each year KFC engages millions of customers and employees around the world to raise funds and awareness for WFP, helping provide over 460 million school meals since the partnership began with Yum! Brands in 2007. Raising funds - engaging employees and customers: KFC leverages the power of its global restaurant network, raising funds through in-store donations and special fundraising events led by KFC employees, to make a meaningful difference for children and families affected by hunger. KFC franchisees, restaurant managers, partnership ambassadors and employees in each country customize the campaign to add their own unique activities. Yum! Brands has also generously supported WFP through corporate grants, and through the employee-led ‘Feed The World’ initiative, which raised funds for the Jinotega community in Nicaragua. 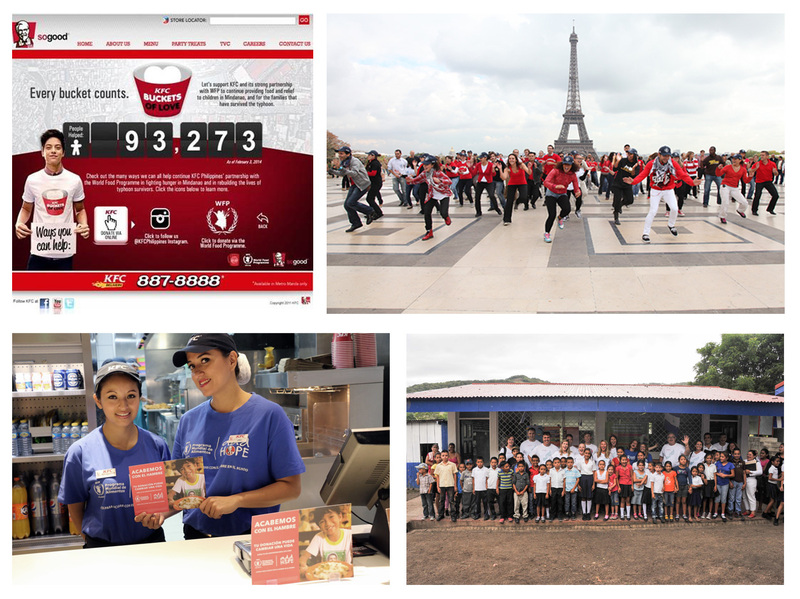 Building awareness: Through special events and communications in restaurants and social media, KFC helps raise awareness for the fight against hunger and WFP’s life-changing work. KFC is WFP’s largest corporate donor, thanks to overwhelming support from millions of employees, franchisees and consumers in communities across 70 countries, who have taken action to achieve Zero Hunger. The partnership has raised funding for over 460 million school meals and provided food for millions of children and families in need. Donations from KFC’s Add Hope (and Yum!’s World Hunger Relief) have supported WFP programs in more than 50 countries – including school meals, mother-child health and nutrition, and emergency operations (earthquakes in Haiti, Japan, and Bolivia; typhoons in the Philippines; the drought in the Horn of Africa; and more). The partnership has generated over 1 billion media impressions and provided invaluable communications which helped increase awareness of the issue of hunger and WFP’s important work. Over 25 industry awards including PR Week: Finalist for Global Campaign of the Year and Cause-Related Campaign of the Year; WFPUSA McGovern-Dole Leadership Award; Bulldog CSR Awards and Bulldog Not-for-Profit Awards; Global SABRE Award; PR News’ CSR Award; IABC Gold Quill Award; PRSA Landmarks of Excellence Awards; and more.